At Recruiting Solutions, we know that it’s the people who make a company great. 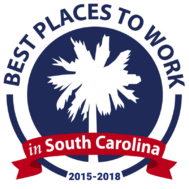 We work hard to foster an engaging company culture where our employees are valued and motivated, and we think it shows: Recruiting Solutions won Best Places to Work in South Carolina in 2015, 2016, 2017 and 2018! We want to hear from talented individuals who would like to join our team in Greenville, Columbia and Florence, South Carolina. To be considered for internal opportunities with Recruiting Solutions, please send your resume to Caroline Culbertson at cculbertson@recruitingsolutionsonline.com. Recruiting Manager (Columbia, SC) – Recruiting Solutions is seeking a Recruiting Manager to join our team at our Columbia, SC branch. The primary purpose of this position is to recruit, train, develop and lead team with a focus on business growth and achievement of profitability metrics. Human Resources Assistant (Florence, SC) – Recruiting Solutions is seeking a Human Resources Assistant to join our team. The primary objective of this role is to support the organizational goals of our recruiting staff, while interacting directly with both internal and external clients, employees, and candidates. This is a highly visible position that requires exceptional communication and organizational skills. If you have an interest in recruiting, staffing and/or Human Resources (HR) this is a great opportunity to expand your skillset and grow your knowledge! Business Development Manager (Greenville, SC) – Recruiting Solutions is seeking a Business Development Manager to join our team at our Greenville, SC branch. The primary objective of this role is to establish new accounts and manage customers ensuring optimal success and exceptional results. Founded in 1992, Recruiting Solutions is a woman-owned staffing and recruiting agency with offices in Greenville, Columbia and Florence, SC. Recruiting Solutions serves more than 150 clients around the United States placing quality talent in executive, office professional, information technology and industrial roles. 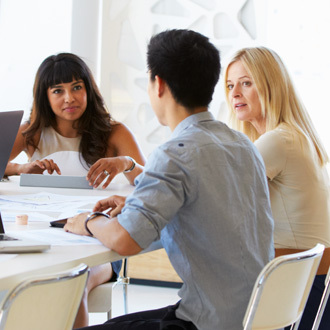 While recognizing that every company’s operational needs are unique, as is the job search for an individual, Recruiting Solutions builds customized workforce and employment solutions by acting as a strategic partner. In October 2015, historic flooding in Columbia, South Carolina left many qualified workers without employment and South Carolina disaster relief organizations in desperate need of help. Recruiting Solutions was able to partner with a government agency to interview and hire candidates for a wide range of disaster-relief related openings. "Great experience since I walked in the door - Recruiting Solutions is different than the other staffing agencies in the best ways."